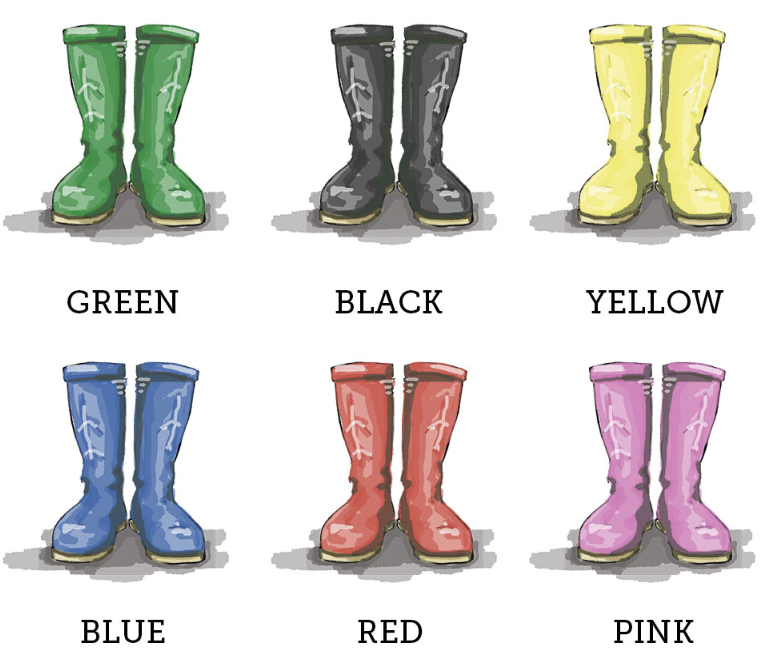 How to design the perfect piece of family welly art! Are you looking for the perfect gift to give to a special family? Or perhaps you are looking for something you can make uniquely yours to hang in your home. 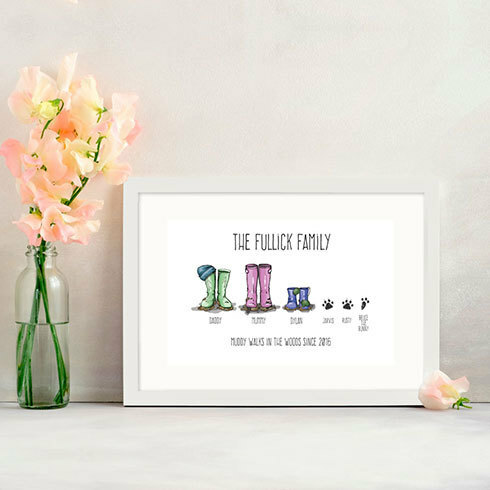 Look no further than our family welly art prints which give you the opportunity to create a truly personalised masterpiece! Which welly art product do I choose? First of all you need to choose the type of product you would like. There are 3 options available which are prints, framed prints, or canvas. 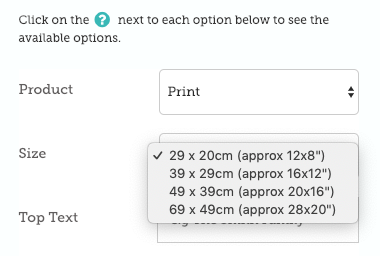 You can select your preferred choice from the drop down menus on the welly art page. 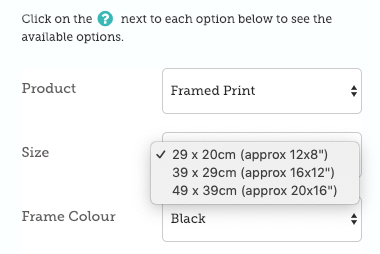 Next you will need to choose a size. 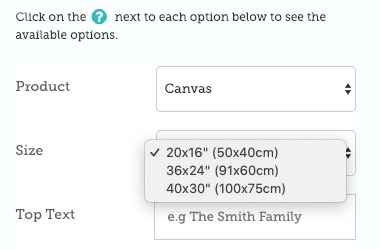 The smallest you can choose is a 12 x 8″ print and the largest is a 30 x 40″ canvas. 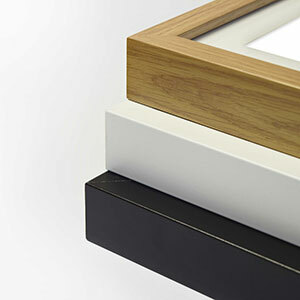 If you decide to go for the framed print option you will also have a choice of frame colour – either white, black, or oak. All of which come mounted. Next, you can choose the text you would like to feature at the top of your personalised welly art. You could go for something simple such as ‘The Smith Family’ or perhaps you prefer ‘Our Little Family’ or ‘My Family’ – it is completely up to you. After choosing your top text, you can move on to your bottom text. Just in case you are finding it difficult to think of what to write, we have come up with a few ideas to give you a little bit of inspiration. You can find examples below. They have been created using the classic welly art font. Please note, if you are not sure what to write for your top and bottom text, you also have the option to leave them blank. Now that you’ve got the basic outline for your piece of welly art you can start to add family members and pets. You can add a maximum of 6 people and 3 pets. There are a variety of styles, colours, and add ons available. 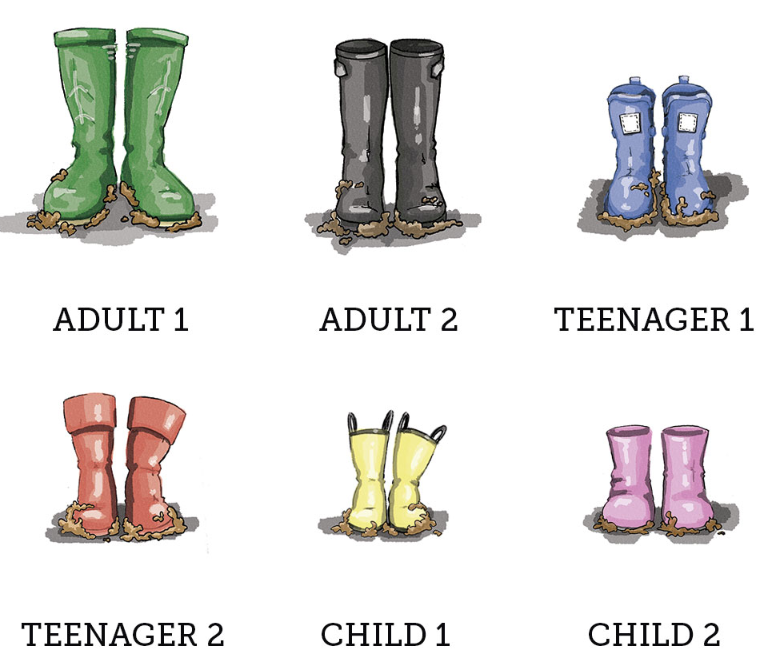 You have a choice of 2 adult wellies, 2 teenager wellies, and 2 child wellies. 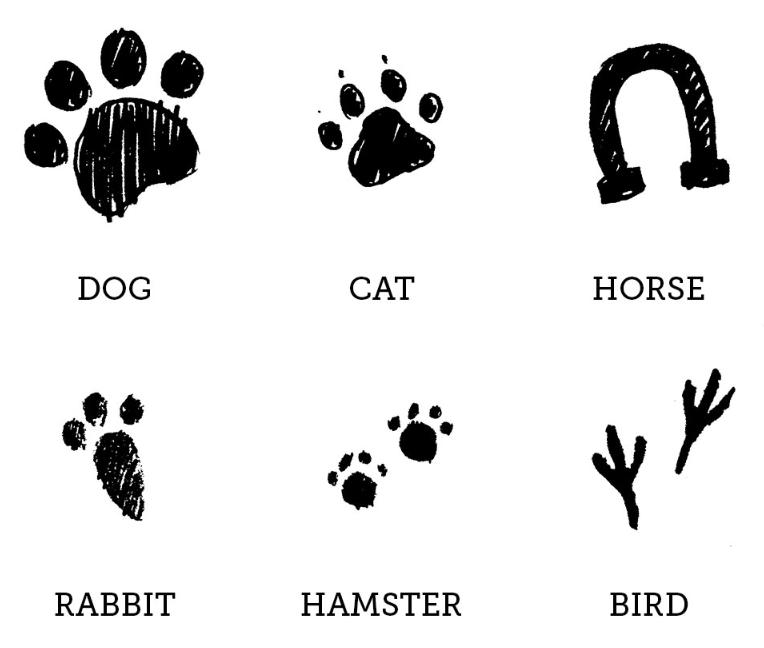 For the pets, you have a choice of dog, cat, horse, rabbit, hamster, or bird. For the add ons you can choose either hats or mittens. You can view the various styles and see what they look like by clicking the little question mark circle icon. You will find examples below. There is also the option to add mud and snow to the welly boots. Alternatively, you can keep them plain. Once you are happy with all of your choices, simply click add to basket and we will do the rest! That’s it, you’re finished! A beautiful and thoughtful gift that is guaranteed to make you smile. So what are you waiting for? 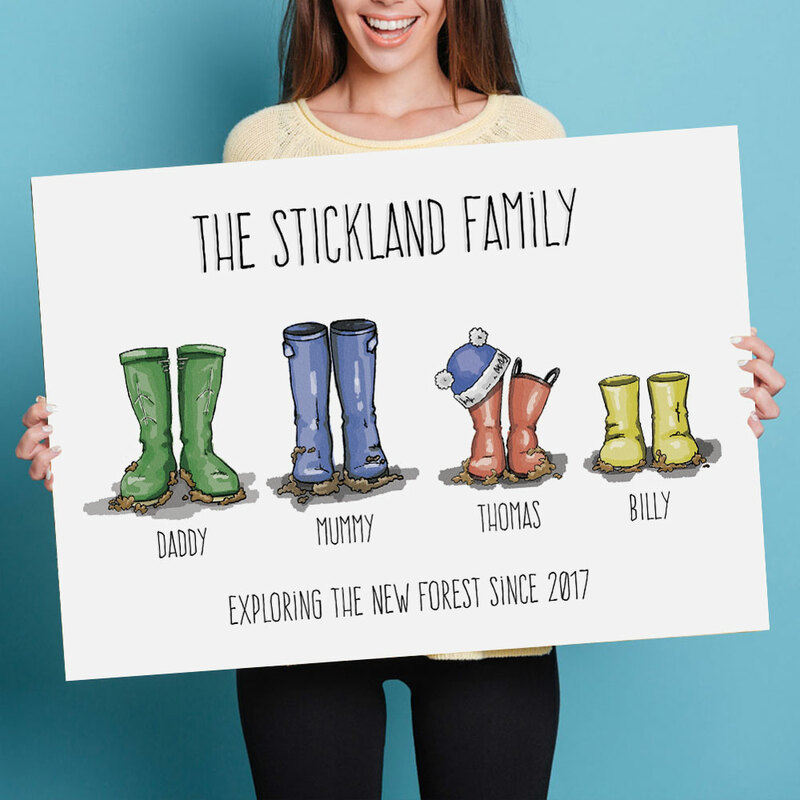 Make your own personalised family welly art print today by clicking the link and create something unique.